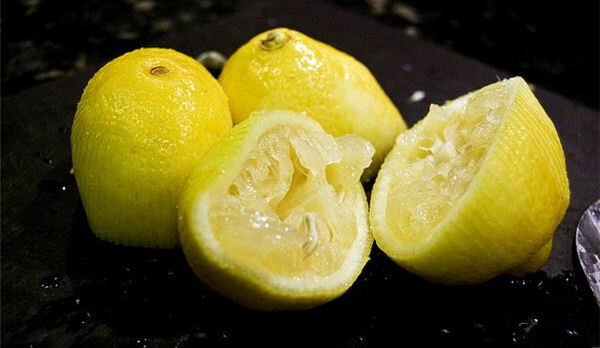 When life gives you lemons, go on a detox diet! 1 litre of salt water, using chilled tap water or mineral water + 2 level teaspoons of sea salt. Detox Lemonade, made from 1 cup chilled tap water or mineral water, 1 lemon squeezed with no pulp, 2-3 cayenne dashes, 2 tablespoons of dark maple syrup (Grade B maple syrup aka the "essence of life"). The dark maple syrup provides all the necessary nutrients you need. 1 cup of Laxative Tea (just buy it in any store). Some days you may feel sick, but that is your body expelling toxins. Over time you won't feel that hungry. Some people also like adding calcium pills, milk and/or vitamins to their Detox Diet. Others like detoxing for specific days of the week, mixing it with their regular diet (while cutting back on their consumption), etc. A few also like adding soy-based protein milk shakes to the daily routine, using protein mixes commonly used by weightlifters. This maintains lean muscle mass in the body. There are a number of support websites out there people can visit to get advice, talk to other people interested in (or on) detox diets, and this helps for those wishing to research more. 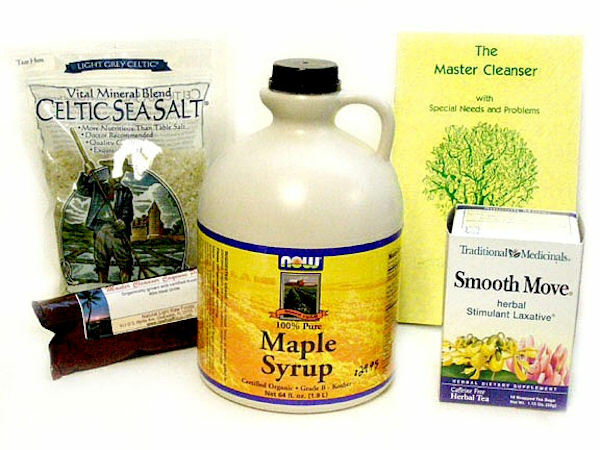 The Master Cleanse Detox Diet, aka the "Lemon Detox Diet" and the "Maple Syrup Diet", is a liquid Detox Diet first created in 1941 by alternative medicine performer Stanley Burroughs, and later promoted in the 1990s by Peter Glickman. Stanley Burroughs described it as a "detoxification program" and weight loss diet that aids in the removal of harmful toxins, as well as a cure for ulcers and a general panacea (like snake oil salesmen of the Old West). 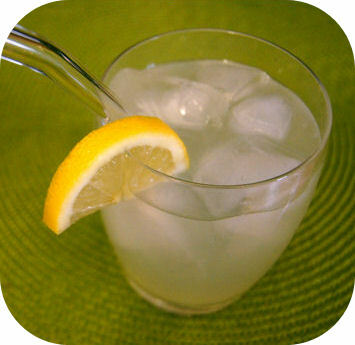 There has not been a lot of scientific studies into how the Master Cleanse Detox Diet works. What is known is that it definitely results in weight loss for most dieters. (Some people who are underweight actually gain weight on the MCDD.) The diet is not harmful over the short term, but it can be harmful over the long term if people neglect any warning signs their energy levels are giving them. Fans of MCDD say that it cleanses the body of various "toxins" and over time eliminates cravings for drugs, alcohol, tobacco, food, caffeine, etc. The cleanse involves drinking the recipe listed above and works to flush out the lower gastrointestinal system. No solid food is eaten for the entire cleanse period. If you are already very healthy and avoid ingesting toxins the Detox Diet probably won't do much for you. The human body is already designed to eliminate, neutralize or quarantine normal everyday toxins by expelling them through the lungs, kidneys, liver and the lower gastrointestinal system. Nutritionist Jane Clarke warns people against using a detox diet and points to a lack of essential nutrients, protein, vitamins, and minerals in the regimen. As a result of these deficiencies, some people may experience headaches, illness and a variety of other short term symptoms. The biggest danger is long term use which can cause more serious problems. EDITORS' NOTE: For safety reasons we do not recommend people try a detox diet for anything longer than 30 days. We also recommend supplementing the diet with vitamins, calcium and soy protein shakes either every day or every 2 or 3 days. By Hilary E. MacGregor - February 2007. Past the desert scrub and cacti, at the end of a long drive to nowhere, sits a fenced-in oasis guarded by a big gate. Press the secret code and you enter a paradise: a spa where the rich and beautiful flock to purify their bodies of the chemical excesses of 21st-century existence. Guests go without solid food for anywhere from three to eight days, subsisting on a liquid diet that supposedly helps flush their systems of pollutants and preservatives while still providing vital nutrients. They gulp down 14 individually formulated drinks daily to boost their energy and loosen stuck matter in their colons. They imbibe endless cups of fresh vegetable juice, gallons of blood-purifying tea and enough water to grow a tree in the desert. Then, packed to the gills with fiber and herbal laxatives, they receive colonics, lymphatic massages and Korean skin scrubs to help flush the toxins. A spa such as this, with a price tag that can run into the thousands, is definitely for the well-heeled. But its focus on detox is part of a larger alternative-health trend that has been briskly growing in the past few years. Celebrities and health faddists both do it. By scouring out their innards, drinking gallons of liquid and popping pills and powders, these enthusiasts hope to purge themselves of accumulated metabolic waste and man-made poisons � fighting disease, sharpening minds, increasing stamina and (with all that intestinal flushing) flattening bellies. A plethora of DIY detox books are available to help them, and a bevy of detox products exists too, on natural health-store shelves. In fact, cleansing and organ supplements (largely consisting of herbal-based cleanse and detox kits) make up the fastest growing segment within the herbal formulas category, says David Browne of SPINS, a market research and consulting company for the natural products industry. Last year�s growth was twice that of the year before, he says. Most people who do detox regimens speak of them with the zeal of religious converts. They can�t wait to detox again. But medical professionals urge caution. They say detox diets can be extreme and potentially dangerous. They also say there�s no evidence that these diets do any good. 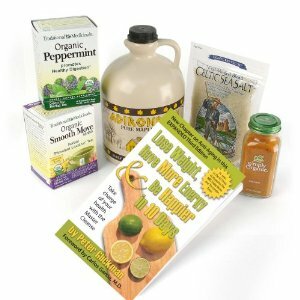 The perennially popular Master Cleanse, or lemonade diet � in which people survive anywhere from three to 40 days on little more than a brew of lemon juice, cayenne pepper, maple syrup and lots and lots of water � was created 60 years ago. And We Care has helped guests cleanse their bodies for 20 years. But today's detox craze is something different, according to those watching the trend. Eliminating most foods and following a regimen to empty the digestive system and flush away these chemicals, advocates say, allow the body to eliminate the buildup and begin to function efficiently once more. Most detox diets involve consuming large volumes of water, huge quantities of crushed raw vegetables and daily doses of digestion-aiding, colon-scouring supplements such as fiber and herbal laxatives � accompanied by colonic irrigation or enemas. Claims vary depending on the diet, but testimonials generally suggest that these regimens will boost energy, increase mental clarity and make skin glow. Such diets seem to resonate with an affluent urban psyche that seeks to cure all through health and nutrition, and to fit neatly into this age of instant gratification and pervasive fears about environmental pollution. David Oyster, a disc jockey in Colorado, recently completed a detox diet that lasted five weeks. He had tried detox cleansing before, he says, including the Master Cleanse. That left him so depleted he could barely function. But four months ago, he turned again to a detox regimen because he was feeling sluggish. Under the supervision of a nutritionist, he took pills and powders with names such as Toxinout (with L-methionine and L-cysteine, to detoxify the liver, kidneys and blood), ParaDetox (to flush the system) and Oxy-Powder (to oxygenate the colon and remove toxins). And he loaded up on fiber like never before � for breakfast, smoothies loaded with ColonAid (its main ingredient is psyllium husks); for lunch, salads; for snacks, apples and almond butter; and for dinner, salad, a sweet potato or a beet. At night, he took yet more pills, including a probiotic supplement to repopulate his intestinal flora. �I felt more energetic, more able to do brain work, more mentally alert and refreshed,� he says. �I sleep better, my senses are more acute � hearing, smell, taste. Dr. Nancy Lonsdorf, an internist and former director of the Maharishi Ayurveda Medical Center in Washington, D.C., says the body is designed to get rid of toxins naturally � but in today�s world, that might not be enough. �If you are feeding someone Big Macs, French fries and making them work hard, having them breathe toxic air, [drink] toxic water, then yes, the body is getting rid of toxins, but it is taking in more than the body was designed to handle,� she says. Lonsdorf says time will show that toxins are not only in our bodies but also a threat to our health. She notes that the Centers for Disease Control and Prevention has begun taking blood from thousands of people, testing for pesticides and toxic compounds and following them over time as part of a program aimed at measuring Americans� chemical exposure. In a 2005 report from that project, the CDC screened for 148 toxic compounds in the blood samples and found measurable amounts of more than 100 of them present. Some chemicals, such as phthalates, are metabolized fairly quickly. Others, such as polychlorinated biphenyls, flame-retardants called PDBEs, methylmercury and dioxins can accumulate in sites in the body such as bone, muscle, lungs, liver and, perhaps most frequently, fat. Most scientists say there is no evidence to support the notion that these often extreme cleansing methods do anything except perhaps dehydrate you and throw off your electrolyte balance. When people do the regimens to excess, they can get muscle cramps or pass out, sometimes even push their kidneys to begin to shut down. Susana Belen, the 68-year-old founder of We Care Spa, is not swayed by the lack of science. �Just because it hasn�t been scientifically certified does not mean benefits do not exist. It means no one took the time to prove all of this,� she says. Look at her: She has no pain, takes no medication and has the same pulse she had when she was 28. This � and that 80 percent of her guests return to the spa � is evidence enough that it works, she says. On one recent morning, about 15 We Care guests � 5 men and 10 women � gather in the spa�s main villa for a cooking class called �Healthy Digestion.� It is super-hot. No one seems to have much energy. Lounging on sofas, the guests quietly talk � of psyllium, stomachs, digestion and hunger. �You should have seen what came out of me!� exclaims one woman, referring to the black goo that emerged from her intestines during a colonic irrigation. As they sip tea packed with parsley and cilantro for liver and kidney health, and stir individualized baggies of aloe vera, acidopholus and enzymes into cups before gulping them down as prescribed, Belen imparts some longer-term healthy-eating lessons: the uses of nut milk, the benefits of bread made of hemp and sprouted grains. She encourages guests to drink a little asparagus water every day and tells them artichokes are the best food for the liver. �If you do detox, and you don�t go home and do changes, this is all totally useless,� she says.